The 1970’s oil crises together with the rising fuel prices raised in Finland the concern that oil taps might be closed someday. The Saab-Valmet factory in Uusikaupunki decided to begin to develop the use of alternative fuels. 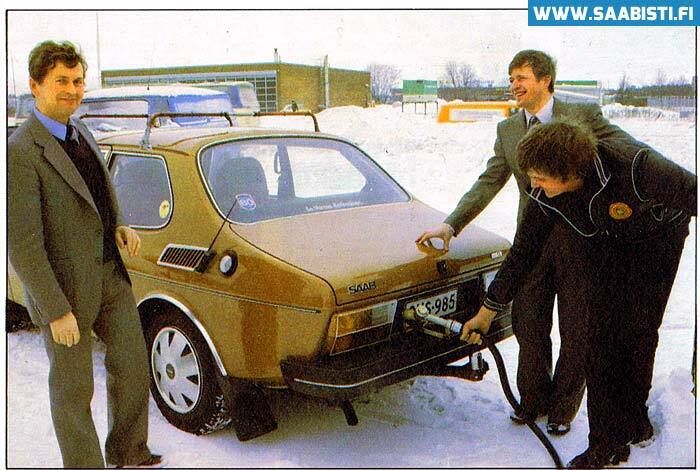 The project resulted in the late 1970’s in a dual fuel system fitted into a SAAB 99, which made it possible to use regular gasoline as well as turpentine and kerosene (motor petroleum) for fuel. Gasoline was used for start-up and peak power and kerosene (or turpentine) at constant speeds. Turpentine could be manufactured in Finland from paper industry by-products, which made the project interesting for the government also. 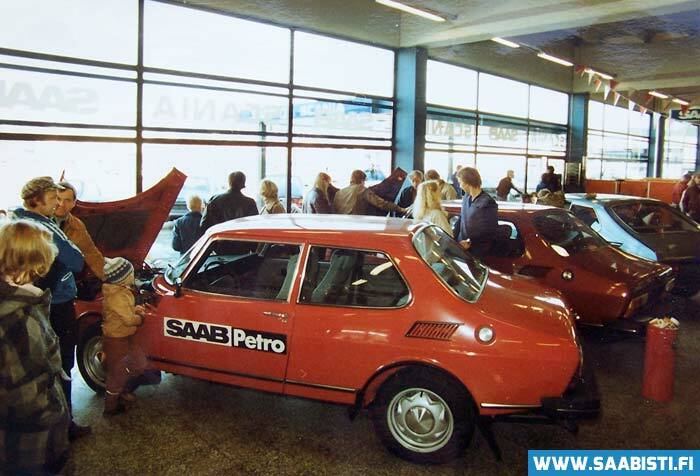 SAAB 99 Petro was available through model years 1980 to 1984, but only in Finland and only as a 2-door sedan. Engine modifications were relatively minor – the compression pressure was reduced by changing stock pistons to those of the Turbo model. Electronic ignition system was also sourced from the Turbo. The fuel tank was divided into two parts, 19 litres gasoline and 40 litres kerosene. Both fuels had their own fuel lines and pumps. The fuel selection was completely automatic. The 99 Petro never reached significant sales as the kerosene prices first started to rise, then the distribution network was closed down, and finally kerosene manufacturing was ended altogether. 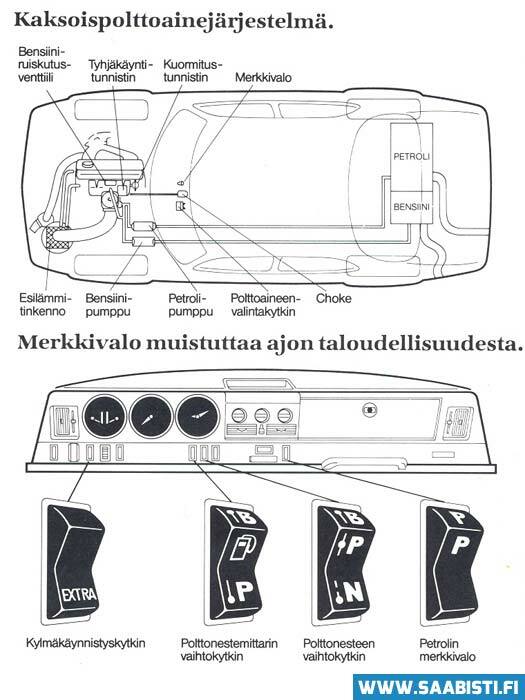 Saab Petro dual fuel system schematic. Switches from the left: Cold start, fuel gauge (change display petroleum/gasoline), change fuel (petroleum/gasoline), petroleum indicator light. 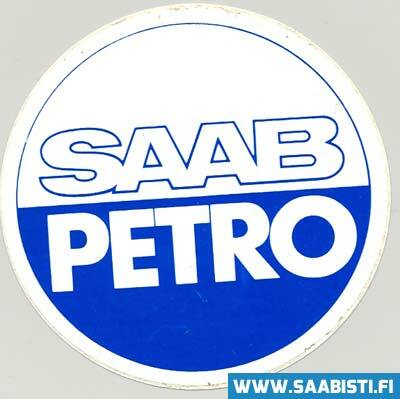 Saab 99 in the typical color scheme for the Petro. It was interesting Again to hear about the Petro. – Back in 1979 friends of mine drove one of the prototypes. Pentti was a major in the Finish Navy and his wife worked in the sales department of Saab Valmet in Uusikaupunki. 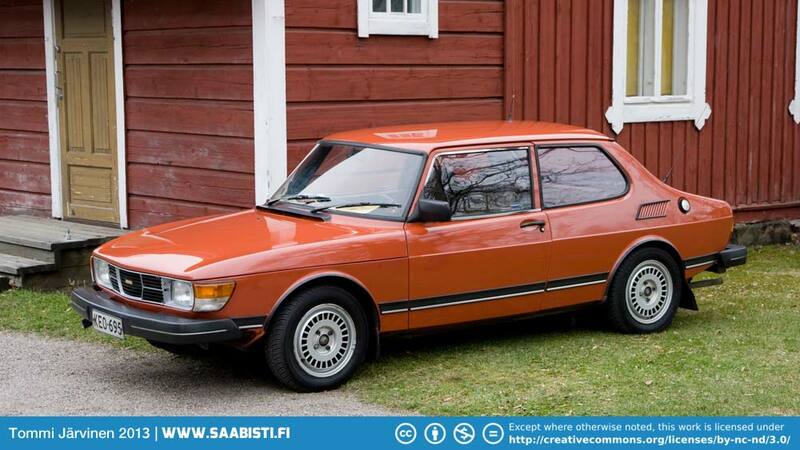 – To me as a Saab freak it obviously was great to experience this model closely and also to have the opportunity visiting the factory several times. What became, by the way, of the museum next to the factory? >> What became, by the way, of the museum next to the factory? Nice to hear such memories! The museum is still there and it’s open for visitors. I have a huge problem, and I could use help from my Fellow Saabists. My longnosed blue lady, Saab 96 two-stroke, MY 1965, in traffic September 1964 still totally original has been grounded and must stay in the “hangar” until the problem has been solved. Brakes do not Work!! The main brake cylinder (huvudbromscylinder) has a leak! I would be very grateful if you, Tommi, or one of your many contacts could help me. Until now I have not been able to find this sparepart for sale anywhere over here. Then all of a sudden I thought of Finland. Does anyone have a Lockheed main brake cylinder for sale? It must be in a good condition, might even be new. These cylinders were made for Saab 96 MY 1965, 1966 and 1967 as far as I know. Thanks a lot on beforehand! I had two of those, one -82 and later one -84. Totally functional, only weak point was the fuel heat exchanger (cooling water/kerosene preheater) which I needed to change a couple of times. I really miss that very useful technology today as it would be perfect to use biofuels. Many of those Petros were changed to Turbo due to the same engine construction and pistons.